When I first saw this I thought of Erica Jong’s Fear of Flying. 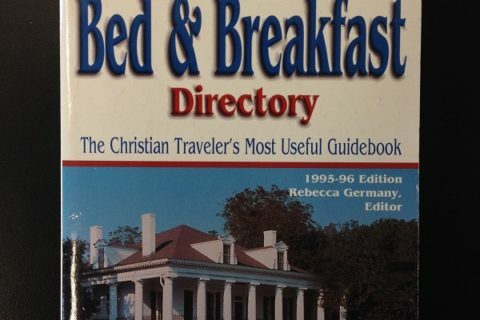 No, this is NOT that book. 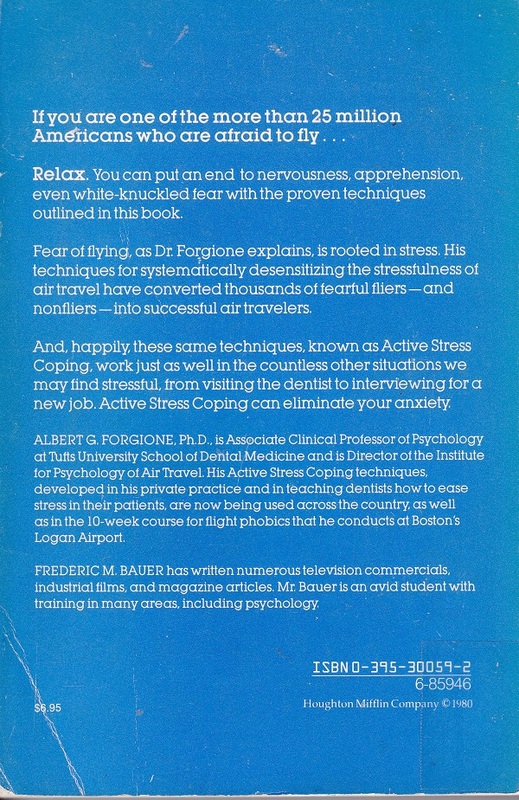 This book is to help with anxiety and stress with flying. 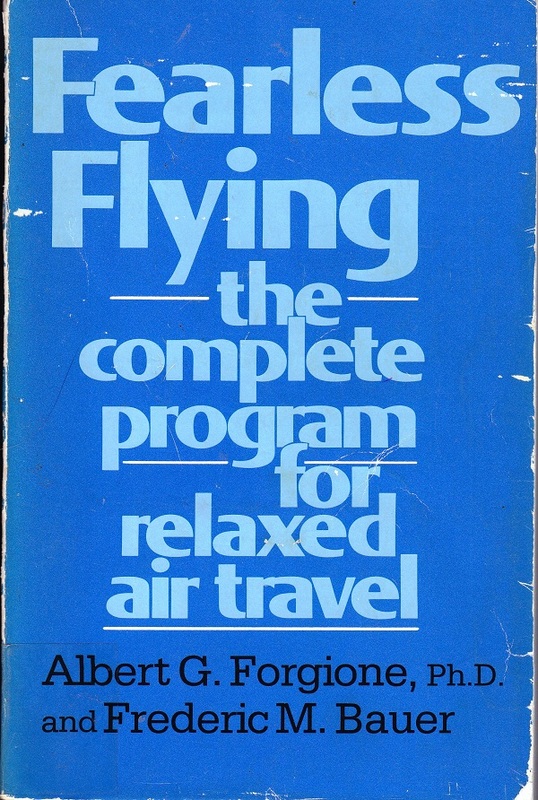 As a person who struggles with flying phobia and motion sickness, I know that this book would not help me or anyone else. Besides, they don’t even address being stuck next to weirdos, screaming babies, or guys trying to sell me insurance. 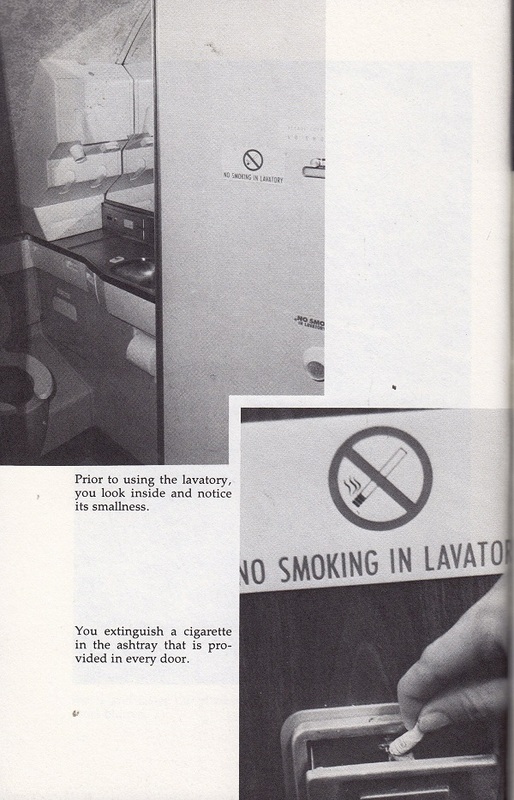 The best part of the book is the quaint look back at travel before deregulation, the TSA, and all sorts of other stuff that make airline travel the stress inducing experience it is today. 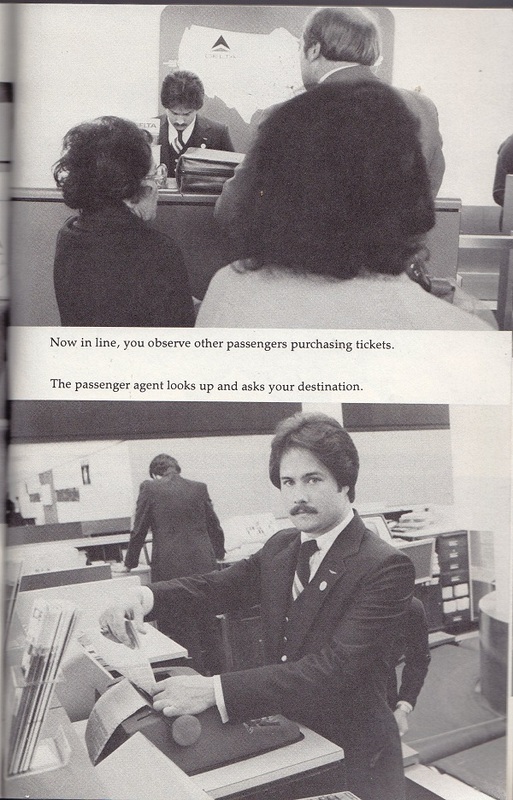 I am sure we will all love looking at the perfectly blow-dried ticket agent from yesteryear. 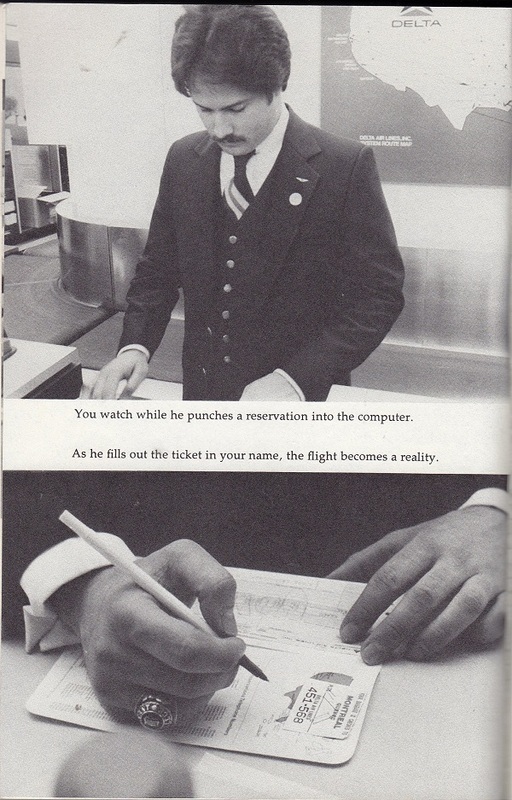 The creepy ticket agent would make me afraid to fly! This is priceless! Maybe it doesn’t belong in the library, but I could see it in a museum. I love the warning about “One person at a time please” above the metal detector. Was there ever a problem with multiple people trying to stuff themselves through that opening at the same time? And I love how one of the “fears” is that if the plane’s engine dies, it will crash. Am I crazy, or isn’t that what ACTUALLY happens if a plane loses its engines? “Fear that if the motor stops, the airplane will plummet to the earth like a piece of lead”. And if you didn’t have a fear of flying before, you sure do now. Patience: Well, it would glide for a while–it wouldn’t just drop straight down. If the engines stop, the plane will still fly. It’s how hang-gliders work. 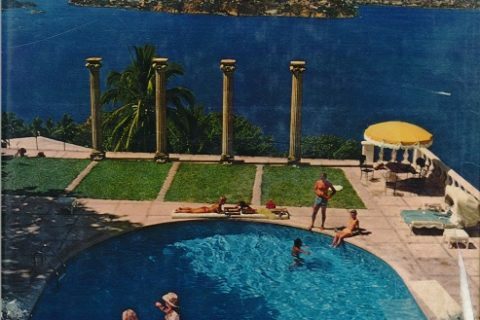 An excellent historical document. 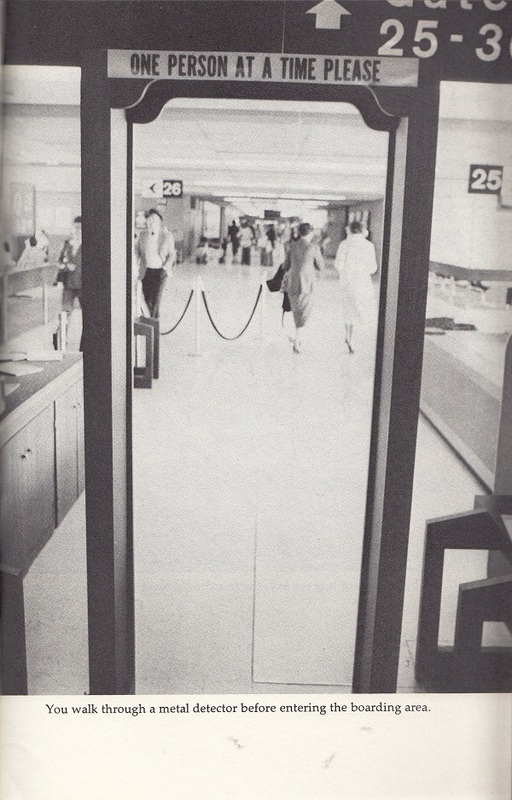 Yes, kids, believe it or not, we didn’t always have to abandon our shoes and shampoo and undergo an electronic strip search before boarding a plane. I love the map in the background. 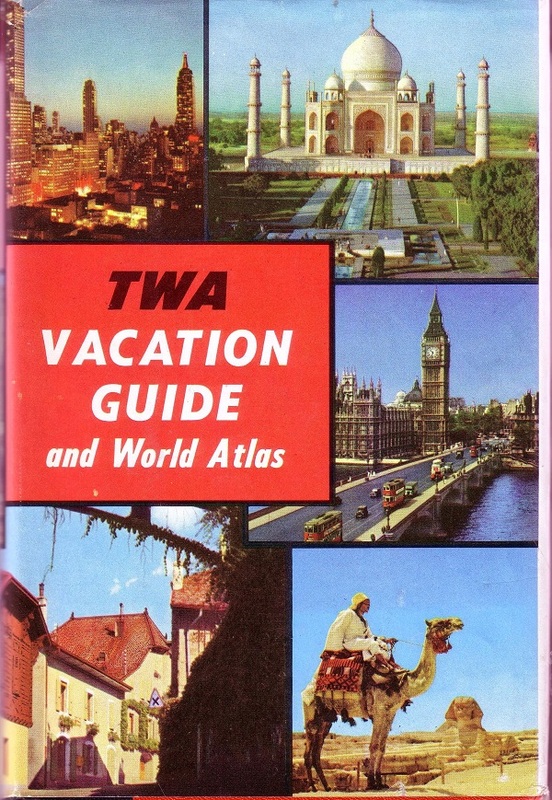 If we did not have the date of the book, I can still tell its Delta pre-Western merger. Remember them?